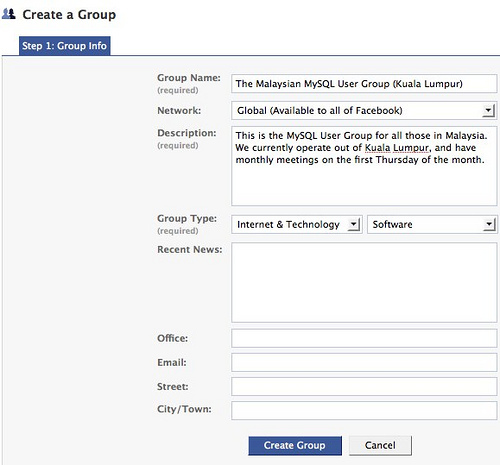 The Buzz Piece » Creating Groups With Facebook! HomeSocial MediaCreating Groups With Facebook! May 08 Creating Groups With Facebook! Facebook is a wonderful tool for keeping track of your friends and family. It can also be helpful in developing professional and social contacts. But did you know that Facebook makes it easy to create and manage groups? 1) On the left side of your homepage, find the link that says “Groups” and click on it. 2) On your groups page, you’ll see a grey box that says “Create a Group”. Click that box! 3) Now you should be on a page that asks for your group information. Fill in as much as you want to. The big decision is whether you want the group to be available to everyone on Facebook, or only people in your local network. 4) Once you’ve filled in all the blanks, click the “Create Group” button at the bottom of the screen. 5) This next page is about security and access options. Now is the time to figure out how much approval people will need to access your group. 6) After you save that, Facebook will take you to the Invites page. Congratulations! You’re ready to invite your friends to join your group and let the fun (or work) begin! The best part? 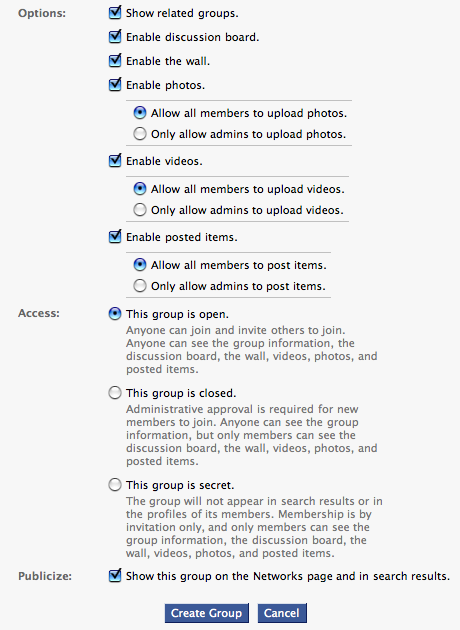 If at any point you feel overwhelmed and need to stop being administrator of the group, just tell Facebook. FB will pick a new administrator from among your group members. You can walk away without worrying about your group dying!